Do you know what a vehicle wrap is? 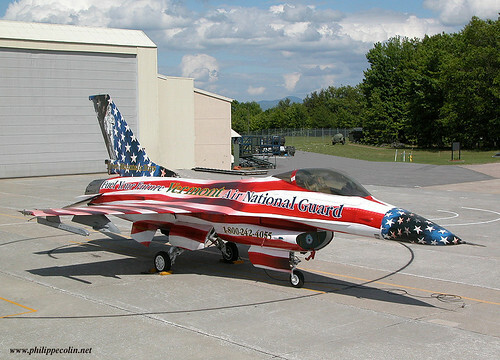 Can one do a vehicle wrap on an airplane? Are there any legal issues with it? It would go on the fuselage and tail, not so much on the wings. And I don't think aerodynamically there is an issue with it. What are you going to paint and wrap, Mike? Panaca Jane, or Big Mama? Sure sounds like an interesting project, please keep us informed! I know there is a 206 by me that has a decal wrap on it for the local casino. That is the only one I have ever seen. Albeit its not as extensive as the picture you posted, but it is done in vinyl seems to have held up so far. Used to do that sort of think when I worked for a sign company on cars,buses,lorries and mobile cranes with wraps printed off a big digital printer onto vinyl, but never tried on aircraft envn though I have heard about companies that do it. But I really want to make sure there are no legal issues first. been looking into this for you Mike and found a forum thread at http://www.recreationalflying.com.au/forum/home-built-kits/44719-aircraft-graphics.html about it. and so far have not came across any legal issues, I suppose you could contact the FAA about it. From my point of view as an aerospace student, I think it should't give any problems as long as the pilots vision isn't hindered in any way, and the wrap is properly attached. (Partial) detaching of the decal results in FOD, as well as possibly having aerodynamic consequences. On the fuselage this shouldn't pose any major problems, but on the tail it could theoretically do a little more damage (control/stabilising surface, so more aerodynamically sensitive, as well as having possibly jammable moving parts). It's looking pretty good for a "go" then, huh?!! Well by the looks of it as look as its the approved stuff for A/C and not motor vehicles, not covering canopies,showing your A/C registration and not restricting control surface movment you are good to go, but I reckon the company you go to should give you the advice you need, I know I had to go through the pros and cons of the diffrent type of vinyls we stocked with customers. I don't see any relevent FARs at this point dealing with vinyl. I assume you are trying to avoid the cost or work involved if you were to have it painted or mask and paint it yourself. It looks like what you want to do is a well established practice these days. The second site references Cirrus as doing this on production aircraft, but I did not find any references to full wraps on their site. With so many airplanes already out there with this kind of thing, I don't see any issues with going forward with it. Of course, if you are good at painting and masking, you could always do that as well. The big consideration you'd have would be keeping registration markings visible and discernible. I expect the wings and horizontal stab are best avoided, but those companies should be able to give you some good information about it. There shouldn't be any problems with the fuselage or vertical stabilizer as far as I can see. I'd like to add that you probably won't be able to get away with the windshield or front windows being covered, but you probably guessed that already since you can't do that with cars either.